– November 29, 2012Posted in: SusieQ FitLife Breaking News, SusieQ FitLife Updates! Michelle Obama on the Dr. Oz Show! Jumping Rope & Dancing the Dougie! Did you see that?! 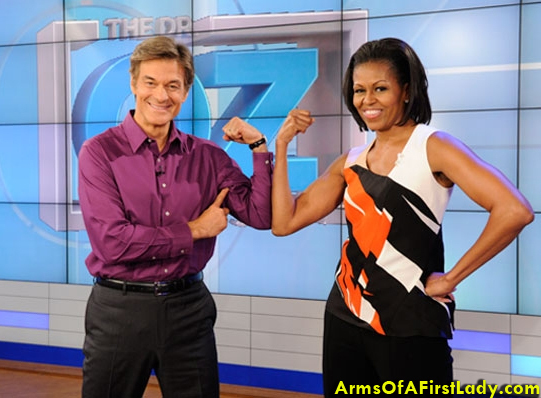 The Dr. Oz Show had an unforgettable episode, featuring the “Arms of a First Lady” Mrs. Michelle Obama! This was an energized show featuring our First Lady, unlike any other First Lady we have ever seen in the history before! She had a few exciting new announcements to make about the Let’s Move Initiative! However, let’s begin with the quick Hip-Hop dance lesson called the “Dougie” that was performed in Beyonce’s “Move Your Body” music video for our First Lady’s campaign! Dancing with her daughters Sasha & Malia, has become a favorite activity to work out & get moving by turning on the radio to perform the latest dance moves! Dr. Oz, who is always a great sport, allowed Mrs. Obama to teach him the dance moves! He was very entertaining to watch but, just how well did Dr. Oz dance? In case you missed it, see this video clip for yourself and let us know what you think! Our First Lady is a healthy lifestyle advocate with her “Let’s Move!” anti-childhood obesity campaign. The goal is to improve the federal guidelines for school lunches and she is doing just that with a brand new School Lunch Program! Change is taking place for the first time in 15years, this fall! It will consist of specific portion sized meals with healthier food choices including: fruit, veggies and whole grain items! Burritos will soon become multi-grain turkey sandwich with colorful, crisp veggies. Hot dogs will be swapped for whole grain pasta and a roll with vegetables. Pizza will be modified with a whole grain crust & fried tator tots will be switched to healthy baked sweet potato fries. White milk will replace with sweet chocolate milk and it was kid tested and approved right on the Dr. Oz Show! Should we make mention that Michelle Obama is making history with Disney’s healthful advertising changes for 2015! Secondly, a whole new physical fitness test will be introduced to schools and no longer will the old gym tests be used. This test will now be personalized for individual goals to be achieved and the large group intimidation factor will now be removed. This will help children to not compare themselves to their peers and it will provide more motivation to focus on self-improvement! Mrs. Obama also stressed the point that she always has with her Let’s Move campaign that they does not focus on body image or weight. The focus will always be the health of a child. How Do You Get Michelle Obama’s ARMS? 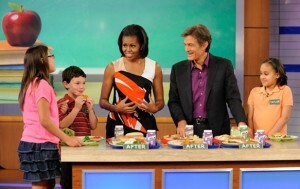 Dr. Oz asked Michelle Obama the golden question! “What is the workout secret for those great looking arms?” She just has an overall 3 strategy system of nutrition, cardio and flexibility. Luckily all of these strategies can be found on the “Arms of a First Lady” fitness DVD mentioned on CNN.com from a White House official, Personal Trainer. Learn about the “Watch Your Mouth!” nutrition in the kitchen features and the “Get a FitLife” training system. Mrs. Obama also explained that she takes her skipping rope with her, during the election campaign and jumps rope! In this rare moment and exciting moment & Michelle Obama puts Dr. Oz to the test and jumps rope with him and she out performed America’s favorite Doctor by going double speed! It seems no matter TV Show Michelle Obama appears on; she seems to physically excel past all of the TV Hosts, in a classy and graceful manner! Normally, our First Lady does 2-minute intervals of this jump rope routine, while changing after each 30 second interval with a different step movement! Wow! Impressively, our First Lady’s focus is to get kids excited about moving making activities fun, similar to the City Gym Boys with the Boys & Girls Club of Harlem & SusieQ FitLife. 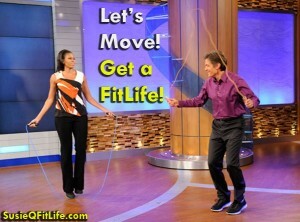 Michelle Obama urges parents to speak with their child’s pediatrician in order to guide their child to get a FitLife! Does the First Family have a FitLife? Initially the Obama’s eating habits at the White House hadn’t been as healthy as Mrs. Obama would have liked it to be. She began making a few simplified changes by increasing the family’s vegetable intake by planting a vegetable garden and eliminating sugary drinks & processed foods, while increasing frequent physical activities! Reducing the amount of screen time a child has sitting in front of a television, computer or hand held device; to avoid the sedentary lifestyle, is our First Lady’s aim for her own children. Similar to the FitLife philosophy, she explained that the goal is to create balance when it comes to nutrition and not deprivation, similar to the “Watch Your Mouth!” campaign. Michelle Obama’s personal and biggest health fear is her father’s being diagnosed with multiple scleroses, where she spoke about her father’s passing in 1991. “If I’m honest with myself, I think probably because my father had MS and he contracted it at the prime of his life – I worry about those sudden illnesses that may be genetically linked that you don’t have any control over.” As she spoke with Dr. Oz, it was clear that this was a painful battle that her father faced! Second Presidential Term for Obama 2016! Dr. Oz expressed that he feels the greatest national security that we have is obesity. Michelle Obama, replied that she spends a great amount of her time working with military families on military bases. She said the number one reason that young people from the ages of 17-24 are prevented from qualifying for the military is obesity! The good fight will continue and SusieQ FitLife is working efficiently on joining forces with Michelle Obama to empower this mission! Incredible changes have been made in Health Care by Barack Obama and he will leave behind an incredible legacy; although he will still be in office for a second term with this 2012 Presidential Election throughout 2016! PS: Watch Michelle Obama on the Dr. Oz Website Here! Be sure to see Beyonce’s Move Your Body video featuring The City Gym Boys with the Boys & Girls Club of Harlem with SusieQ FitLife at the link below! Help encourage & inspire the children around you! 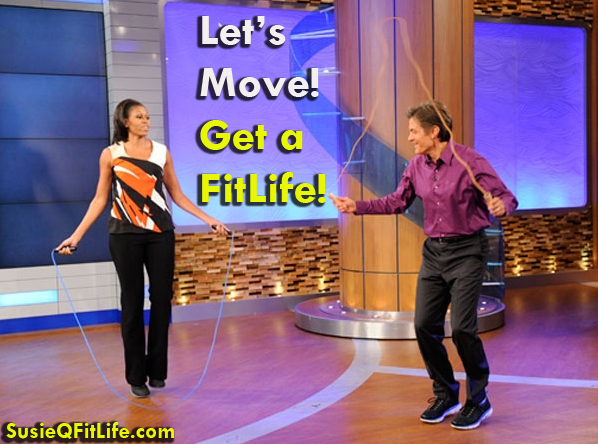 Let’s Move & Get a FitLife! 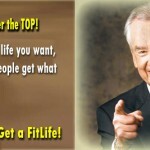 See Zig Ziglar at the TOP & Over the TOP!